Novi Sad Airport (known locally as Аеродром Ченеј, Aerodrom Čenej) (IATA: QND, ICAO: LYNS) is located near the village ofČenej in Serbia. It is 16 km (10 mi) north of the city of Novi Sad, on the eastern side of the Belgrade-Horgoš road. 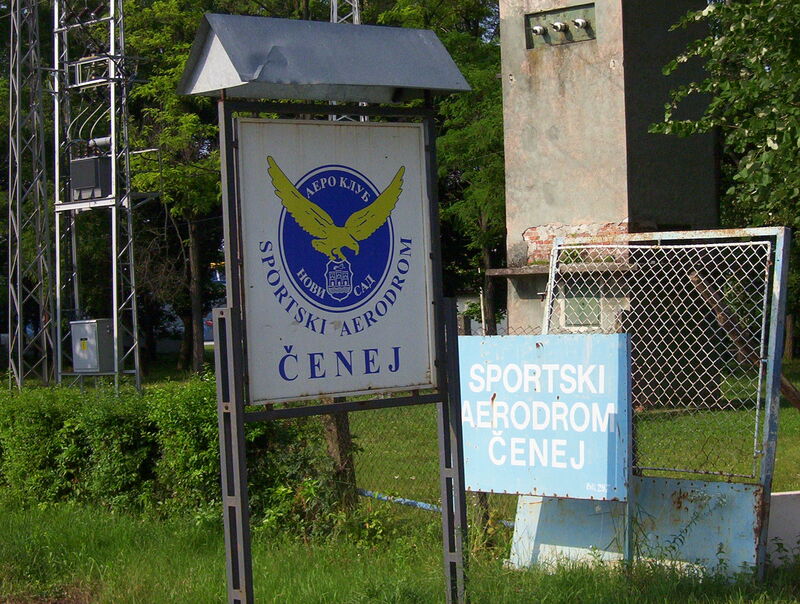 The airport can also be referred to as Čenej Airport. The site is mostly used for sport and agriculture. The idea of building an international airport on this site is not new. In 1994 construction of the control tower begin, it is still not complete. A 2,500 meters asphalt runway capable of accommodating 70 to 80 seater aircraft is planned. The air corridor above Novi Sad has about 800 movements per day, of which 50 are so-called ‘mini-business’ flights. The site also has favourable prevailing winds. Meteorological data for the last 20 years shows the least number of fog affected days in the area per year. On Saturday May 22, 2004, a Let L-410UVP-E Turbolet aircraft with 20 passengers aboard, which had departed from Tivat Airport, landed at the airport. The aircraft belonged to Di Air, a Montenegrin airline. It was a promotional flight aimed at showing interest in developing this airport in the future. 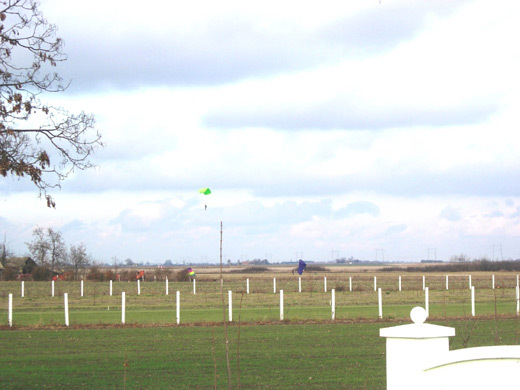 On April 5, 2012 Government of Vojvodina decided to develop the airport for civilian traffic. Čenej Airport willing to finish construction of its terminal building by the end of 2015, so it can service passenger, business, low cost and cargo flights. Provincial authorities estimate that the airport will be operational from 2015, and that when it was built to be used conception of public-private partnerships to provide additional funding. The airport will look similar to the airport in Tivat, Montenegro. 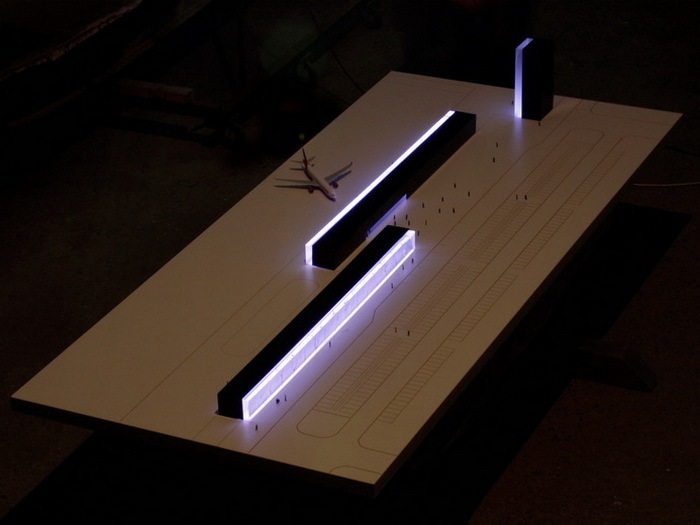 A model of the airport are presented by the Faculty of Technical Sciences in Novi Sad. The airport was designed as an airport of “C” type with the outgoing and the incoming terminal, business object, with the control tower, and will occupy an area of about 7 hectar without a runway and internal roads. Total investment in the airport will be 20 million euros.